show me ur squad bro? whos tradable? you have any other players in club other than your 852k? who would u put next to toty marcelo? m8 ur lucky get in my thread where i cant choose and ul laugh u can do wat i want lol. sell eusabio all day get 91 cam dinho will give you a few hundred k.
then get ur toty marcelo and nif ramos to go with job done. That’s a great shout tbh, club is empty. Got 88 players. 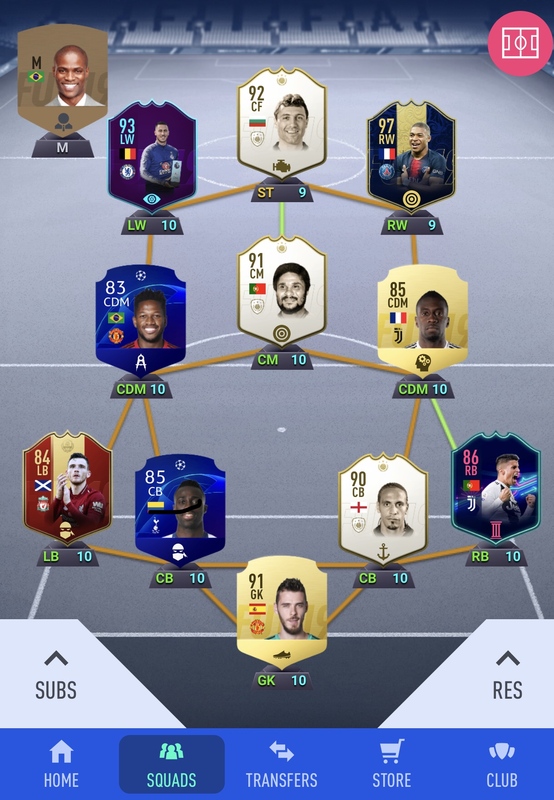 usually when it requires national, club or certain players they are only in the lower rated squads the high ones like 85 plus are normally just random ifs and chemistry m8. i hope it pays tho m8 good luck. How much is he now? Damn. Historically TOTY cards always drop slowly after the event. Would it be different this year?